When the Toyota Prius was released for sale in 1997, it took the automotive industry by storm as one of the most stylish hybrid vehicles of its time. While there are now many hybrid cars that compete for the attention of today's car shoppers, the 2018 Toyota Prius continues to be a leader of the pack. Notably, the Prius is now in its fourth generation, and the new Prius for 2018 has received an attractive redesign throughout the exterior. The front and rear bumpers have been improved, and the LED headlights look more aggressive. Interior features remain relatively unchanged in comparison to the 2017 model, but there are big changes under the hood. There are four trim levels available for the 2018 Prius, and these are uniquely named One, Two, Three and Four. Each of these trim levels is available with several variations, such as an Eco model or a Touring model. All are five-passenger hatchback vehicles that are available in your choice of eight exterior colors and three interior colors. 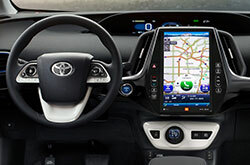 All trim levels of the 2018 Prius are equipped with voice-activated radio, steering wheel audio controls, speed-sensitive volume, wireless phone connectivity, a touchscreen infotainment display, concealed cargo storage space, six-way power adjustment for the driver's seat, climate control, distance-pacing cruise control, remote keyless entry, power windows, a day-night rearview mirror, three USB ports, a tilting telescopic steering wheel, an illuminated glove box, illuminated vanity mirrors and more. 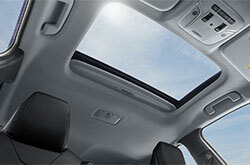 Advanced trim levels have several additional standard features. The new Toyota Prius for 2018 has a revamped engine that delivers more powerful acceleration while focusing on smooth handling and excellent performance. This is a hybrid vehicle that comes with a nickel-metal hydride battery pack with regenerative brakes. It also comes with a 1.8-liter, I-4 DOHC engine that delivers 95 horsepower and that accepts regular unleaded gas. This combination of gas and electric power creates amazing fuel economy. The new Prius also has sequential multi-point fuel injection, a single stainless-steel exhaust, a transmission lock-up torque converter, a battery rundown prevention feature, an independent front strut suspension system with an anti-roll bar, rear coil springs and many other features. Test driving the 2018 Prius at Toyota of Richardson is a great way to experience the excellent engineering of this hybrid's powertrain. If you are concerned about safety features and ratings for your next vehicle, rest assured that the 2018 Toyota Prius has been designed with safety in mind. This hatchback hybrid earned a five-star rating from the NHTSA for overall safety. IIHS gave it a "Good" score for all five of its safety tests, which is the most advanced score available. All Prius hatchbacks for 2018 are loaded with a pre-collision system with pedestrian protection, a lane departure alert with steering assistance and intelligent clearance sonar. 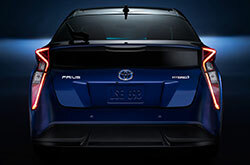 A few of the other standard features available in all Prius trim levels include seatbelt pretensioners, front ventilated disc brakes, a rear center three-point seatbelt, curtain and knee airbags, front and side airbags, brake assist, four-wheel ABS, traction control, stabilization features, a panic alarm, four-wheel disc brakes, remote keyless entry, side impact bars, daytime running lights and several other features. When you are ready to learn more about these and other safety features as well as overall performance, stop by Toyota of Richardson to test drive the Prius.